For Her Eau de Toilette 3.3 oz. For Her Eau de Parfum 98 mL/ 3.3 oz. Award winning fashion designer Narciso Rodriguez launched his first line of perfumes in 2003 to critical acclaim. Narciso Rodriguez fragrances are infused with musk and enhanced with a variety of subtle, graceful, and enchanting floral aromas. The fragrance collection features subtle eau de parfums, the latest L’eau Eau de Toilette scents and the iconic For Her Musc Oil with a sensual fragrance presented in a one-of-a-kind bottle. The line also includes a skin softening body cream and a hair mist with a touch of musk, adding an unforgettable touch to the entire collection. 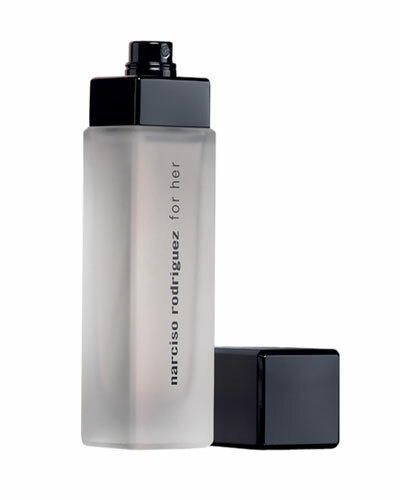 Indulge in luxury with Narciso Rodriguez eau de perfum, eau de toilette, and more at Neiman Marcus.